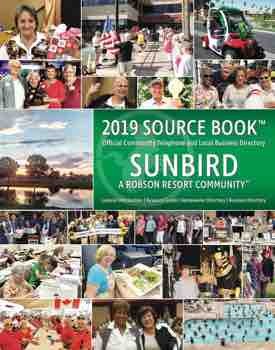 April finds our SunBird Ladies 18ers in full swing. Congratulations to Team USA on the win of our annual Solheim Cup. Team USA collected 32.5 points, and Team Canada + Friends collected 27.5. Most of all, 148 golfers teed it up for two weeks in multiple formats including match play. Many golfers earned style points for colorful national costumes combined with the layers needed for the cool mornings. Special appreciation goes to Cindy Vig, Karen Gilmore and Don and Shirley Hunt for organizing the Solheim Cup, pairings and scoring. Thank you to Joyce Gerber for photography and to Wendie Cameron and Dana Marrs for organizing the luncheon. 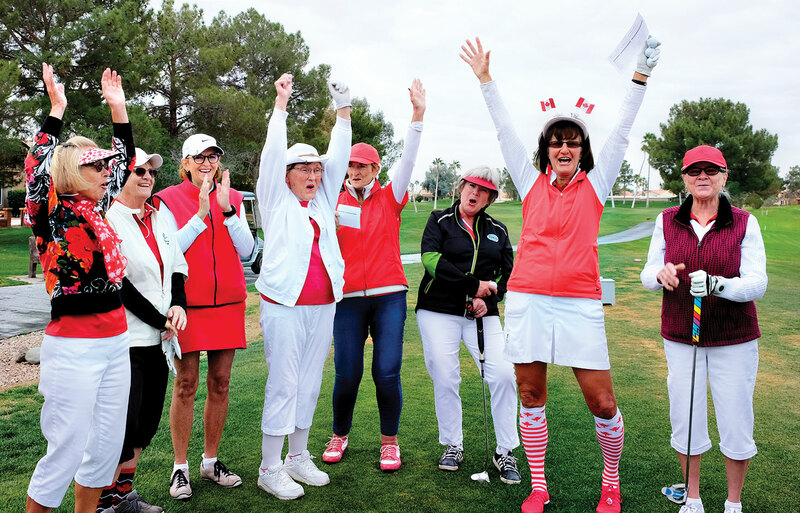 February 6 will long be remembered by Gail Holland as the day she shot her first hole-in-one. She was on hole #13. For seasons, she has collected dollar bills for the hole-in-one purse, and finally she will pay herself. On February 11, we held the Ladies Gross Shootout. Making up the field were Joyce Gerber, Karen Gilmore (1st place); Mary Dawson, Margie Leach, Sue Koslofsky (3rd place); Wendie Cameron, Heather Verbitsky, Melissa Craig (2nd place); Cindy Vig and Jackie Huyghebaert. March 4 featured the Couples Gross Shoot-Out. This year, rather than begging ladies to play, we needed a qualifying round to decide the 10 participants! 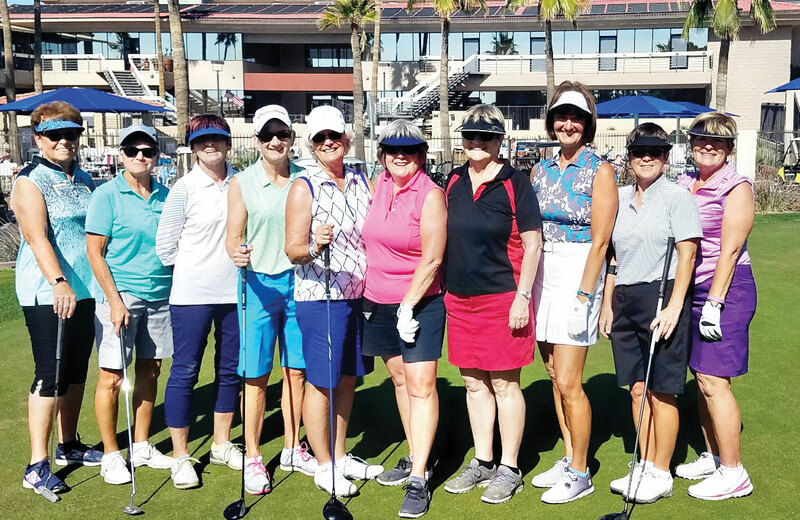 Ladies golf was proudly represented by Margie Leach, Heather Verbitsky, Joyce Gerber, Melissa Craig, Jackie Huyghebaert, Sue Koslofsky, Wendie Cameron, Viva Smith, Cindy Vig and Marcie Hogan. The winner was Margie Leach and her partner. Second was Cindy Vig and her partner. Third was Joyce Gerber and her partner. The days are longer and warmer, and golf just keeps getting better. Fairways and Greens.